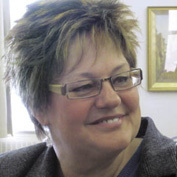 Madeleine Dubé was elected to the Legislative Assembly of New Brunswick in 1999 as the Member representing the electoral district of Edmundston, then re-elected and sworn in as Minister of Education in 2003. In 2006, she was appointed Minister of Family and Community Services and Minister responsible for the New Brunswick Advisory Council on Seniors. Ms. Dubé was Official Opposition Critic for areas related to social development. She chaired the Select Committee on Health Care and was a member of the Committee on Local Governance. Following her re-election in 2010, Ms. Dubé was sworn in as a Member of the Executive Council and appointed Minister of Health.